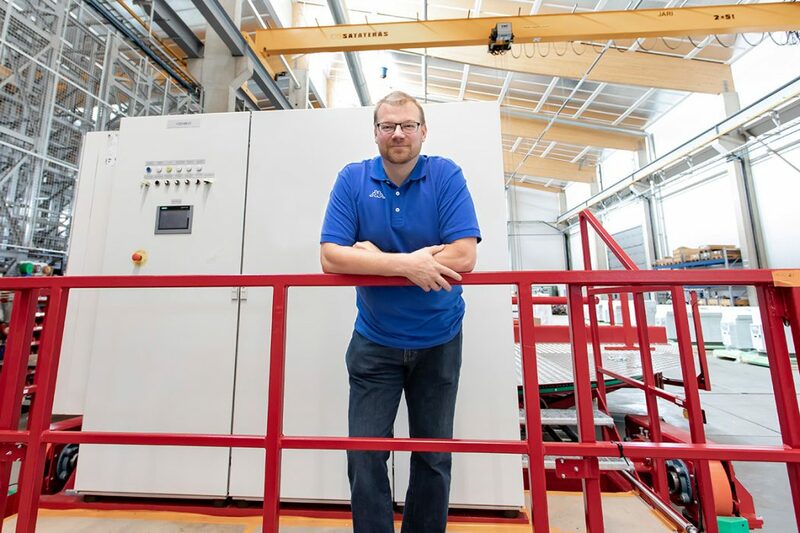 Pesmel’s production director, Harri Peltomaa, appreciates Escarmat’s flexibility as a cabinet manufacturing partner. One of the world’s largest rack type automated roll warehouse is currently being installed in the SAICA Paper cardboard factory in Spain. A large proportion of the switchboards involved in the delivery have been manufactured by Escarmat. Pesmel Oy is an equipment manufacturer which specializes in mill internal logistics. Its automated warehouses can be found in production facilities all around the world. At the moment, the company’s solution is on the way to the El Burgo de Ebro paper factory in Spain. The factory in question produces an annual cardboard volume of nearly 1.3 million metric tonnes, which is an enormous challenge for the handling of the massive product rolls. The rolls weigh many thousands of kilograms and must move smoothly between the warehouse and shipping. Due to the extremely demanding storage needs, the material handling solution to be installed for SAICA Paper is the Pesmel TransRoll systemwhich is able to store as much as 70,000 tonnes worth of cardboard at a time. “SAICA Paper wanted to make their delivery chain more efficient by enabling orders to be shipped practically as soon as there is a vehicle to pick them up,” says Harri Peltomaa, production directorat Pesmel. According to Peltomaa, this indicates that people at SAICA Paper take a very customer-orientated viewpoint when it comes to product storage. After its completion, SAICA Paper’s roll warehouse is most likely to be the largest of its kind in the world. Due to the size of the system, a decision has also been made to deliver the system in two parts, as this will ensure that the installation work will not interrupt production at the factory. Even if the project which is to be completed for SAICA Paper is extremely demanding as a whole, its schedule provided the opportunity to be able to try out a new supplier for switchboards. “In principle, we were looking for a new partner when it came to cabinet manufacturing. However, this time we were trying to find a manufacturer who would especially be able to master the manufacturing of project-based cabinets,” Peltomaa points out. Naturally, Pesmel did not want to select their cabinet manufacturer in haste for their largest delivery ever. In addition to project expertise, in selecting a new partner for cabinet manufacturing Pesmel stressed the need for flexibility with regard to the purchasing of components, as a large part of the project components were sourced from their own suppliers. 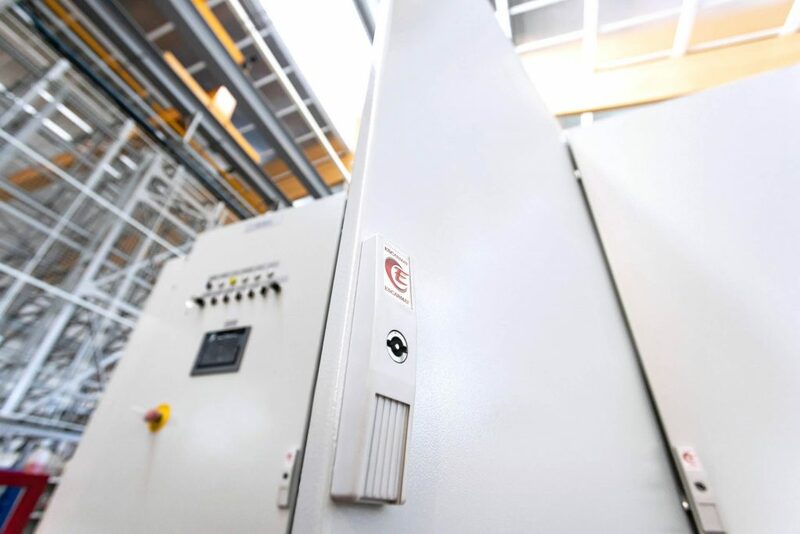 Peltomaa also felt that the component logistics for the switchboards functioned perfectly.